Spring/Summer 2016 fashion week recently came to an end in New York. I spent the week lusting over photos on Instagram, so I thought I'd put together a little collage of my favourite outfits of the week. 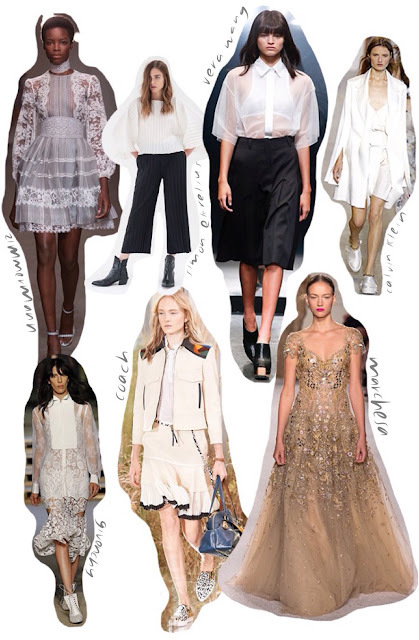 Lace is still one of my favourite fabrics to see on the runway, so I was very happy to see loads of Valentino-esque outfits this NYFW. I'm also loving the white trend, even though I'm way too pale to rock it. And the beautiful layering at Calvin Klein was just too good.